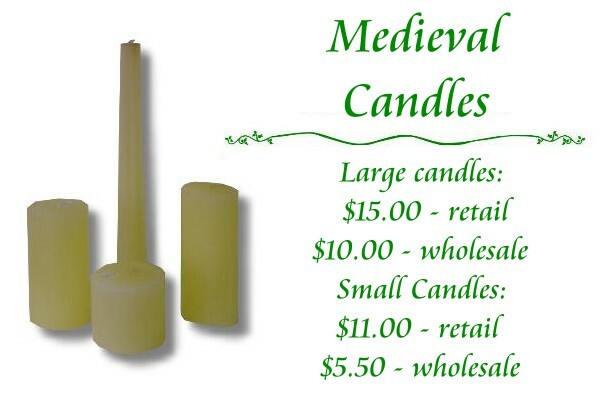 My Medieval Candles debuted Feb. 2, 2002. 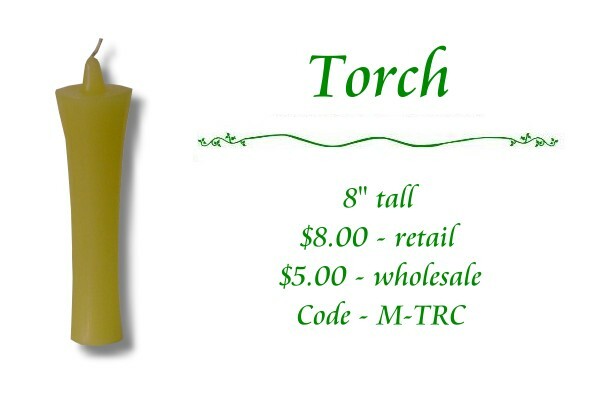 This particular series of candles were created with serious Medieval Re-enactors and Renaissance Faire Players in mind. The idea for these candles come from the numerous faires I have attended. I never come into any traditional candles or candles makers upon much research. I had found the ingredients of the traditional "tallow" candle. However, not wanting to use actual components (such as pig fat and sometimes bodily excretions). I have created a formula that creates a tallow-like similarity. These candles are fragranced with all natural dried ingredients as well as oils. This list will only grow in time.